After rising to prominence in 2017, Fortnite has dominated the gaming landscape in 2018 and it’s shown little signs of slowing down. We’re only one month into 2019 and the world’s biggest battle royale game has already played host to in-game concerts and invaded real-world sporting events like the Australian Open. And to the surprise of nobody, Fortnite’s meteoric success has inspired plenty of pretenders. There's no shortage of wannabes looking to carve out there own claim in the genre that PlayerUnknown’s Battlegrounds popularised. If Epic could topple the king of the hill, why can’t they? Everybody wants to rule the world. Yet Respawn Entertainment are one of only a few developers out there that might just be qualified and capable of pulling off the task. Headed up by the core team behind the genre-defining Call of Duty: Modern Warfare games, Respawn know their stuff when it comes to first-person shooters. Since splitting from Activision in 2010, the company have released two games. Both critically-acclaimed. Both commercially-underwhelming. Both part of the mecha-laced Titanfall franchise. 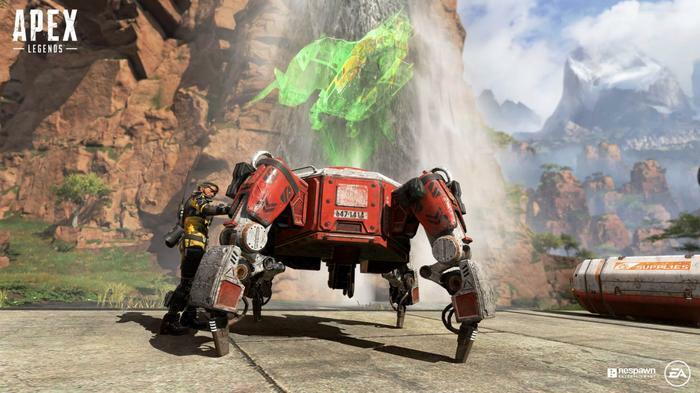 Their third effort, Apex Legends, is set in the same universe but it strips away some of its the series' more-distinct elements. There are no giant robots here (at least for now) nor are there any parkour-inspired movement mechanics. By the standards set by Respawn’s past works, Apex is a little more conventional and by-the-numbers. If you’ve played a battle royale game before, you know what to expect. You’re dropped into a wide-open map with a variety of locations and biomes. Rather than opt for the usual hundred players, matches are played between twenty teams of three. Sixty people total. You land, you find weapons, you fight to the death within an ever-shrinking circle. At a glance, the similarities are easy to spot but it doesn't take long for the differences to add up either. Rather than ape the cartoonish aesthetics of Fortnite or the gritty realism of PUBG, Apex Legends opts for a more comics-inspired look. Its locations are colorful, the guns have plenty of sci-fi flair and each character is expressive as hell. 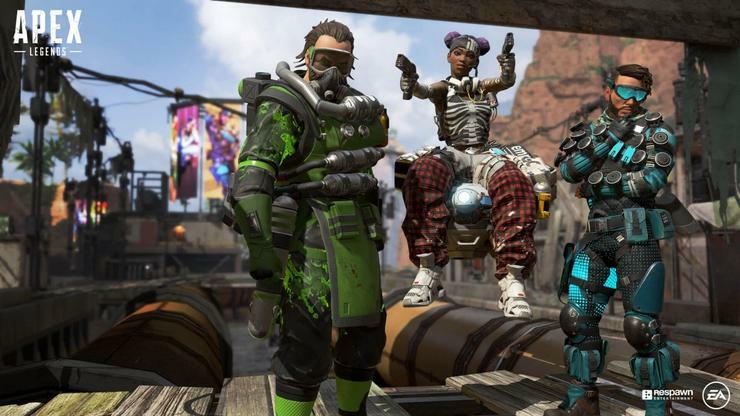 Like Call of Duty: Blackout’s Specialists, you play as a named character in Apex Legends. Each of the game’s "Legends" has their own passive bonuses, an active tactical ability and a more-powerful ultimate ability (which takes time to charge up and can only be unleashed intermittently). It’s all very Overwatch. Out of the gate, there are eight playable Legends in Apex. Some can deploy healing drones, others can warp themselves through space. One can even deploy grappling hooks. I haven’t spent enough time with the game to know the pros and cons of each off-hand yet but the smaller size of the game’s roster bodes well. At this stage, it’s difficult to really say whether they’ll be able to succeed at giving each Legend the right balance of mechanical depth and personality but I’m hopeful. Respawn are good at what they do. Likewise, it feels too early to make any sort of call about the quality of Apex’s microtransactions, map design or broader meta. Still, moment-to-moment, Apex plays really well. The gunplay is tight and responsive, the game’s environments are fun to traverse and move around and the UI is smart and intuitive in all the right ways. There aren’t a huge amount of weapons in the game - but that’s not necessarily a bad thing. Your arsenal rarely extends beyond the usual suspects but there’s something to be said for simplicity. And regardless of whether you opt for the pistol, SMG, shotgun or sniper rifle, each firearm looks really cool. There’s a ton of polish here, plus a satisfying snappiness to the animations and visual design. It’s been a few years since I last dabbled with Titanfall 2 but it only took me a few seconds to be reminded of just how refined and confident Respawn’s approach to game design is. Apex is full of fun touches that make it a little more approachable, forgiving and strategically-rich. If you’re wounded, nearby teammates can pick you back up. If you’re killed, they can bring your battle-ID to one of the map’s respawn points and bring you back in. 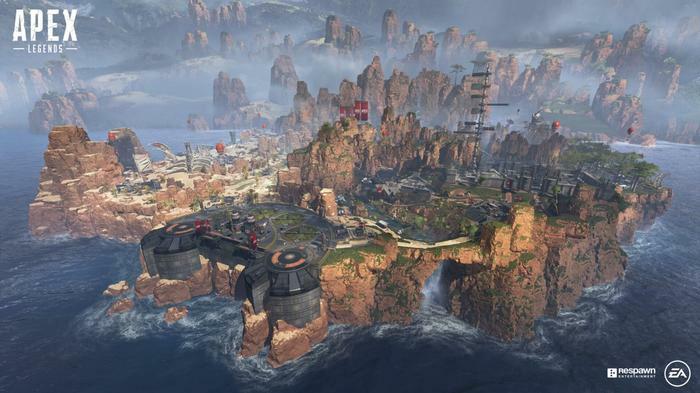 Apex Legends is the rare battle royale game where death is necessarily not the end - and that’s exciting. It gives the gunfights a sort of stickiness. Sure, you can still make a dumb mistake and die - but there’s always the possibility of a second chance. Maybe your teammates escape and resurrect you later down the line. Maybe they scrape through the fight and get you back on your feet. Maybe they don’t. Regardless, it's a mechanic that I found actively kept me more invested. It also encouraged more intriguing forms of offensive play. Respawn’s past releases have been mechanically-solid and polished to perfection but sabotaged by market conditions. The first Titanfall was critically-acclaimed but didn’t come to the Playstation 4 - this generation’s market-leader for console gaming. Its sequel released alongside EA’s other AAA shooter Battlefield 1 in 2016, a move that many suspect ended up costing it dearly. Now, this quirk of history might be about to repeat itself with Apex Legends. The game launches today but we’re just weeks away from the arrival of Anthem: EA’s biggest tentpole release for the quarter and another AAA science-fiction multiplayer shooter. As we’ve seen with games like Lawbreakers and Evolve, it’s one thing to build a game worth playing once but quite another to amass an sizable audience that wants to keep coming back. After jumping into the game earlier today, I feel like I want to come back and play more Apex. Hopefully I’m not alone. Apex Legends is available now on PC through EA’s Origin store. It’s also available on the Xbox One and Playstation 4 through their respective storefronts.